Jamey from Michigan – Why does Little League® have two league age determination dates? Little League – The Little League® age chart is the same for boys and girls. The age chart applies to the sports of baseball and softball, not gender. When the League Age Determination for Little League Baseball® and Little League Challenger Division® was amended in 2015, the goal was to making Little League program younger. This date, August 31, is the same that many schools in many states use for student registration, which allows Little Leaguers to play with their classmates. The date for Little League Softball of January 1 aligns with the most major softball organizations, both in the United States and around the world. Alex from Connecticut – Can local leagues choose to change the Little League® playing rules? Little League – A local league may create its own bylaws that are an extension of current rules, but it cannot choose to change or ignore Little League® rules, regulations, or policies. The annual charter that each league’s leadership acts like a contract and states that the local league will follow and adhere to Little League rules. Leagues can request of a waiver for any rule may be presented to the Charter Committee at Little League International in Williamsport, Pa. The only way for a Little League rule to be altered or not enforced is if it is waived by decision of the Charter Committee. Lee from Virginia – For arm safety reasons, there is a limit on the number of pitches a player can throw and then be allowed to move to the catching position during the same game. Is there a rule that limits a catcher moving to pitcher in a game? More information 2019 rule changes and clarifications are available on LittleLeague.org. John from Illinois – What age chart does a league use if it is operating a co-ed Tee Ball division? Little League – Any league operating a co-ed tee ball division would need to charter the teams as baseball teams and therefore would need to use the baseball age chart for ALL PLAYERS. It’s important to explain this to any parents of female participants who may transition to a Little League Softball program to understand that their league age may change when they switch to playing softball. Don from Kentucky – Are 12-year-olds required to play in the Majors division? Baseball: A league age 12-year-old must be drafted to a Major Division team, Intermediate 50/70 team and/or Junior Division team. Softball: A league age 12-year-old must be drafted to a Major Division team and/or Junior Division team. Exceptions can only be made as noted under Regulation V or with a waiver from the Charter Committee. 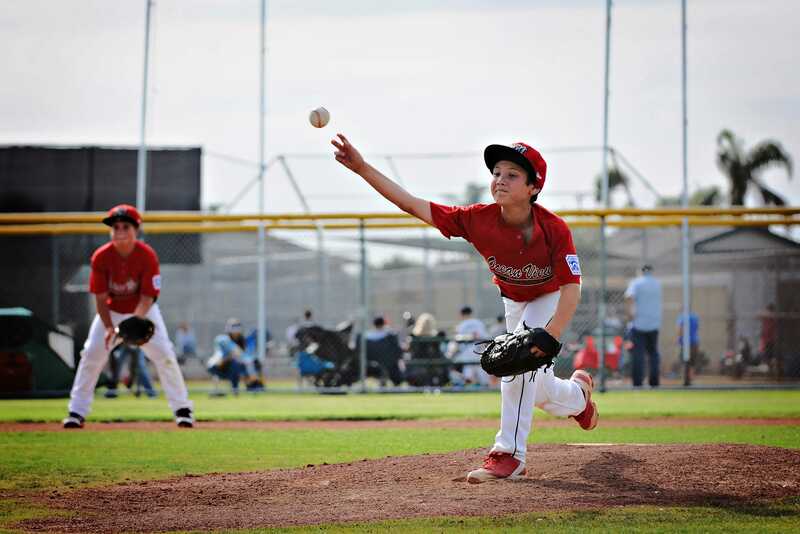 During the regular season, children may dual roster, meaning they can play on a Major Division team and an Intermediate 50/70 or Junior Division baseball team; or in softball, a Major, and a Junior team. During tournament time, players who dual roster must choose one division to play in. A dual roster option that would involve a combined teams situation, does require a waiver from the Charter Committee. Justine from Utah – My child is 9, and is nervous about going to tryouts for the first time. Does he have to tryout to make it onto a Little League team? Little League – In Little League, the term “tryout” is synonymous with evaluation, but it sounds a lot scarier to a child. During these required league functions, the skills of the children are reviewed by the adult volunteers that the league’s Board of Directors has approved to be team managers during the regular season. The adults are evaluating the skills and abilities of the players; and planning for who to select in that year’s player draft. Players are never turned away or discouraged from playing Little League. The local league decides how many teams it will field each season, and how many players will be on those regular-season team rosters. Your child does have to be evaluated, but has nothing to worry about. No player gets cut from a team; and the league will provide all registered players with a place to participate. Remind him it’s just a game, and to reflect on the last phrase of Little League pledge … “I will always do my best!” If he does, and has fun doing it, then there is nothing to worry about.